Creed’s story really started before he was born. He came into this world 11 weeks early weighing just 2lbs. He spent his first 91 days in the hospital, with lots of challenges to overcome. While there, he was diagnosed with an adrenal insufficiency, the first of many illnesses to come. At 6 months he began his ongoing journey at Scottish Rite when admitted for adnoviral pneumonia. 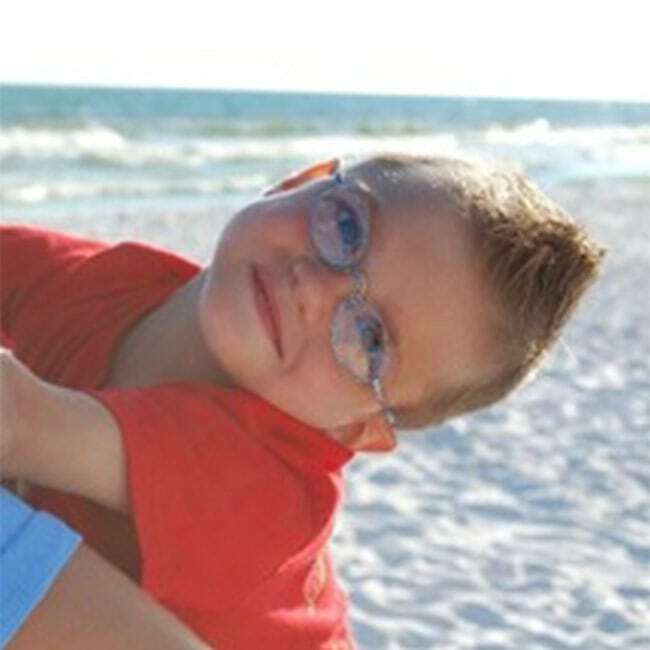 At age 3 he began monthly IVIG treatments. This was basically giving him an immune system to hopefully stop him from getting sick. The next five years of his life he battled more serious bacterial infections puzzling the doctors as to how and why he continued to catch these illnesses. It just didn’t make sense. His family learned very quickly just how unique Creed was. On his fifth birthday he became sick again. One of the many doctors requested a bone marrow biopsy; he felt like something had to be going on there because nothing else was adding up. A week later the results we in. Yep, there it was. Creed had Myelodysplasia/ Monosomy 7. This is a disease that attacks the reproduction of bone marrow and was the reason for the chronic illnesses so far. Myelodysplasia left untreated will develop into AML (acute myeloid leukemia). Not wanting this to happen, we moved quickly with the treatment process, which was a bone marrow transplant. There were many test along the way. The first being, locating a donor. Because his dad nor I were a match, we had to look further. Within a few months we had located a perfect match! August of 2010, Creed was hospitalized to begin chemotherapy and total body irradiation. This was a 10 day regimen to prepare his body for the transplant. He spent the next month in the hospital watching his counts rise and fall. But that wasn’t his biggest challenge. Creed developed another issue while his body began accepting and reproducing new healthy cells. This issue was called Hemolytic Anemia. This caused his body to destroy his own platelets, causing his lungs to hemorrhage and landed him in the PICU. There he spent the next 3 months, overcoming this illness, fighting for his life all the while causing lots of questions and confusion for the doctors. After another three months in the hospital, relearning how to walk, eat etc., it was time to go home. The next 7 months were picture perfect. Something Creed wasn’t familiar with. He had always been sick. We as a family were learning what that looked like. That winter the Hemolytic Anemia reared its nasty head again, this time attacking his red blood cells. Creed was admitted back into the hospital for treatment. This time the illness was extremely resistant to treatment and that caused a lot of problems for Creed. After three months of fighting, Creed earned his wings on April 15, 2012. Although Creed’s life as seen on paper looked grim and hard, through his eyes he saw none of that. His life was lived to the fullest and he loved big!! He never met a stranger and those who knew him loved him. He was a bright light in a big world and will never be forgotten. The next 7 months were picture perfect. Something Creed wasn’t familiar with. He had never not been sick. We as a family were learning what that looked like. That winter the Hemolytic Anemia reared its nasty head again, this time attacking his red blood cells. Creed was admitted back into the hospital for treatment. This time the illness was extremely resistant to treatment and that caused a lot of problems for Creed. After three months of fighting, Creed earned his wings on April 15, 2012. Although Creed’s life as seem on paper looked grim and hard, through his eyes he saw none of that. His life was lived to the fullest and he loved big!! He never met a stranger and those who knew him loved him. He was a bright light in a big world and will never be forgotten. Proceeds from the Creedlove Fund will be used to provide support to patients undergoing treatment for childhood cancer and their families.